← You’re Never Too Old for Halloween! My sister, Ginny Merett, is an artist. I can’t describe all the media in which she works, but my favorites are her watercolors and haunting collages. Here is something fun she made for me when I got serious about writing. The Storyteller doll is holding two babies, recounting her tale. I keep it on my desk as a reminder that I am a storyteller and how lovely it is to have a sister, talented or otherwise. The Storyteller has held my business cards, interestingly shaped rocks from a hike, you name it. 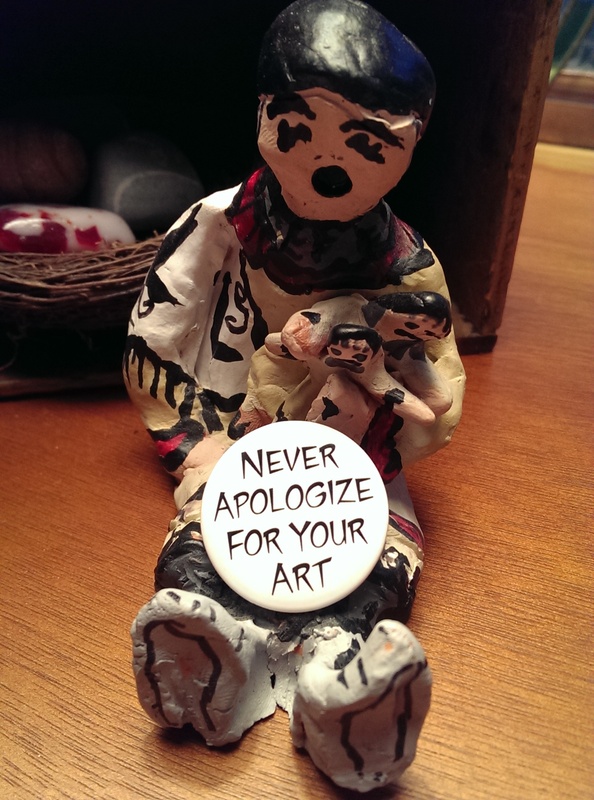 For the past few weeks she’s displayed this “Never Apologize for Your Art” pin. When I begin to censor an authentic thought or expression while writing, The Storyteller’s message keeps me on my path. Both of my novels will be offered as free downloads in the coming days. Check them out! 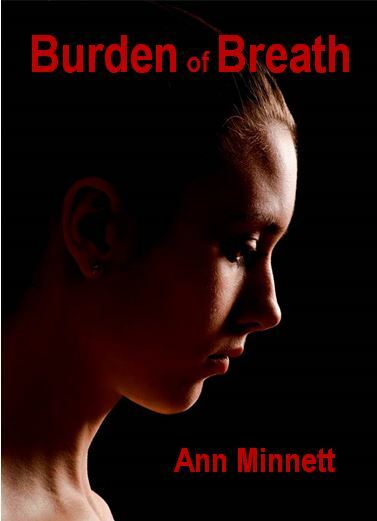 Burden of Breath is free on October 19th & 20th (4.2 average stars in 148 reviews). Serita’s Shelf Life will be free this week on October 16th & 17th (only 3 5-star reviews so far). This entry was tagged Art, Burden of Breath, never apologize, Serita's Shelf Life, Storyteller. Bookmark the permalink. The doll appears to be speaking. She is saying both book are great reads.